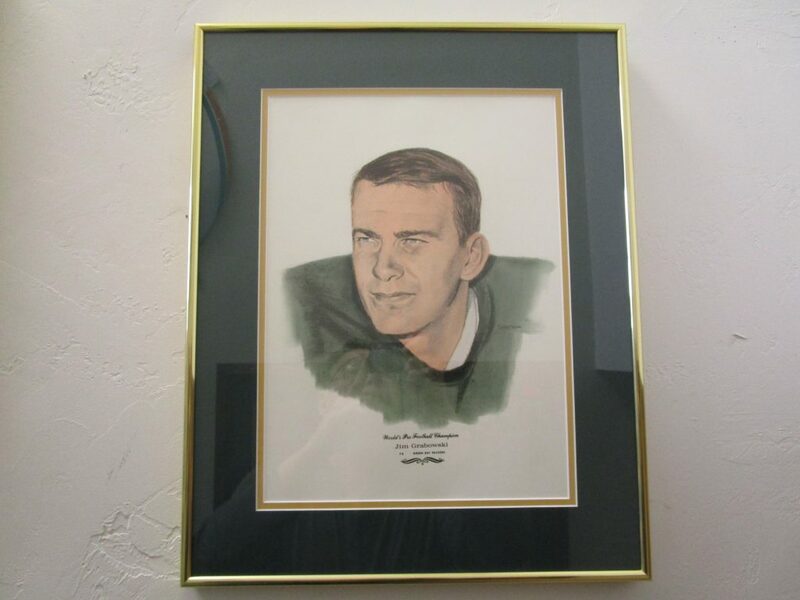 We are offering this Very Scarce One Of A Kind Signed Sweetland Green Bay Packers Jim Grabowski Hand Drawn and Colored Artwork. The Original Owner told us these were on display at a local Green Bay Bank in the 1966 or 1967 to promote the sale of the common sets of the black and white 8x10 Sweetland prints. Framed and Triple Matted in Green and Gold. Frames measure 20 1/4" by 16 1/4" with the viewable art at 15" by 10 1/2". Check our website for a few more of these. Excellent Clean Condition.